ATTD brings together clinicians, paediatricians and family medicine practitioners, scientists, investors, and regulators, from all over the world to share knowledge and develop collaborations.
" For the first time in 2017, ATTD introduced their most interactive and technological conference.	" Diabetes is considered a global epidemic affecting all ages and genders. Patient education and self-care practices are important aspects of disease management and helping the population to stay healthy. The explosion of medical technology has the potential for a major impact on diabetes care and management. Diabetes treatment and prevention is multifaceted and includes a healthy diet, regular physical activity, and medications to lower blood glucose levels. Many diabetes patients are looking for general practitioners while most would benefit from specialty care. It is critical to teach healthcare professionals (HCPs) how to treat diabetes. Yet, the growing discrepancy between the scarcity of HCPs’ time and their educational needs coupled with the fast-developing therapeutic options underlines the need for an easily-accessible educational offering, where the 10th International Conference on Advanced Technologies & Treatments for Diabetes comes into play. 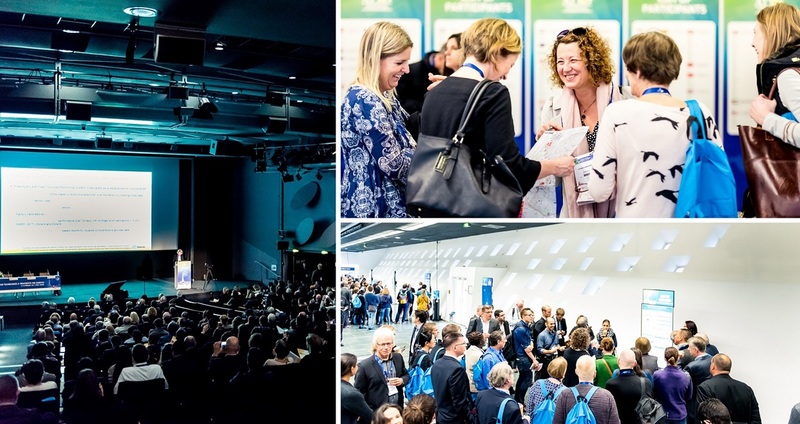 Over the last 10 years, the annual International Conference on Advanced Technologies & Treatments for Diabetes (ATTD), a Kenes Original Event, has become the premier international forum to present and discuss the latest research and developments in this field. Yet, how could the anniversary event deliver an even more focused educational programme to its growing audience? The initial step in the creating the educational programme for the event was to assemble a planning committee. The Kenes Education team together with the local organising committee (LOC) worked closely on reviewing the needs assessment, creating learning objectives based on identified educational needs, and choosing the appropriate formats for the selected target audience for the event. Keynotes, workshops, panel and roundtable discussions were the educational formats chosen to provide an empowering learning experience which to present differing viewpoints on the selected topics as well as to encourage interaction between the faculty and the learners. The education offering at ATTD was enhanced by attracting many abstract authors and start-up companies, both looking for new connections and gaining exposure. For the first time in 2017, ATTD introduced their most interactive and technological conference. In addition to the exciting tech fair showcasing medical tech, there was a new and improved interactive event app which added to the overall engagement of the delegates at the event. ATTD 2017 strengthened the loyalty of its community by addressing their needs and including in its rich scientific programme new niche topics and addressing to the needs of patients too. The outcomes of the educational activity were measured by participation, satisfaction and knowledge results conducted from a post-meeting survey. The overall educational programme was further evaluated to determine the effectiveness of meeting the needs of the audience and if the provided education met the learning objectives of the delegates. The feedback received was very positive and most of the participants (95%) agree that their professional performance will improve after attending ATTD 2017. The quality of the educational programme was highly valued as well, with 96% of delegates giving it the highest marks. Apart from the educational programme, the event received an impressive sponsorship support. The attendance of all symposia was very good. In 2017 more than ever, a number of technological tools were used to enhance all sponsored sessions, such as webcasting and voting via the mobile app. The app was downloaded by 60% of the participants, and its features were very well received by the delegates. ATTD remains one of the most competitive events as its unique feature in the field is that it concentrates on the advances in technologies in diabetes. 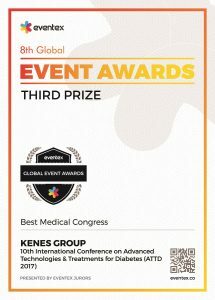 For its exceptional qualities as an event, it took third place in Best Medical Congress at the 2018 Eventex Awards.